Mutabbal (متبل, sometimes transliterated M’tabbal) is a delicious Levantine condiment made with smoky roasted eggplant and creamy tahina with pungent garlic and the citrusy tang of lemon juice. It makes for a delightful dip for flatbreads and veggies, but it can also be used as a condiment for roasted meats, or in sandwiches. 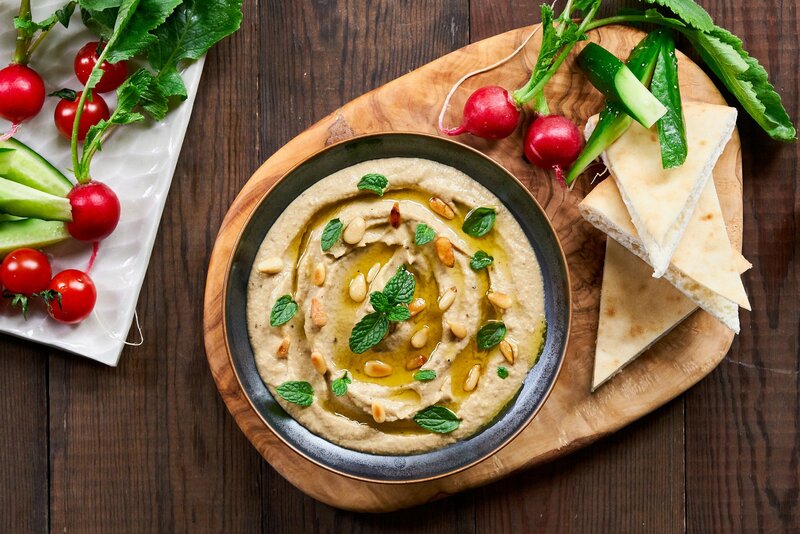 Although many people call this dish Baba Ghanoush (بابا غنوج‎), Mutabbal is a distinct Levantine meze. Baba Ghanoush is more like a salad; with roasted eggplant, tomatoes, peppers, walnuts mixed with lots of olive oil. 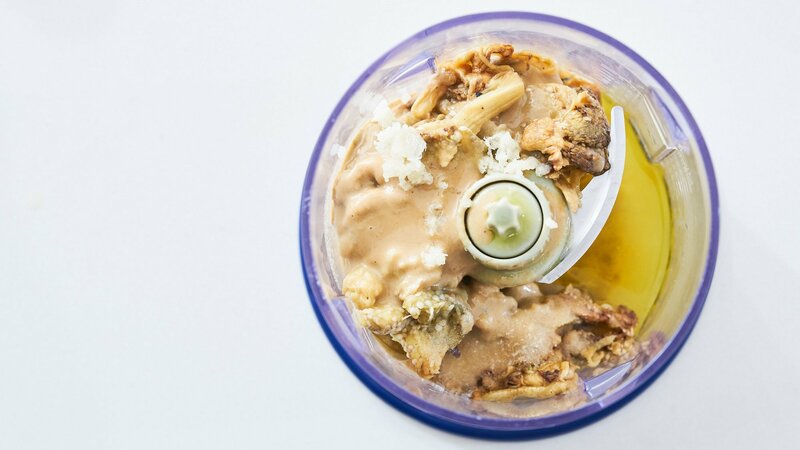 Mutabbal, on the other hand, is a condiment made with roasted eggplant, tahina(tahini), lemon juice and garlic. 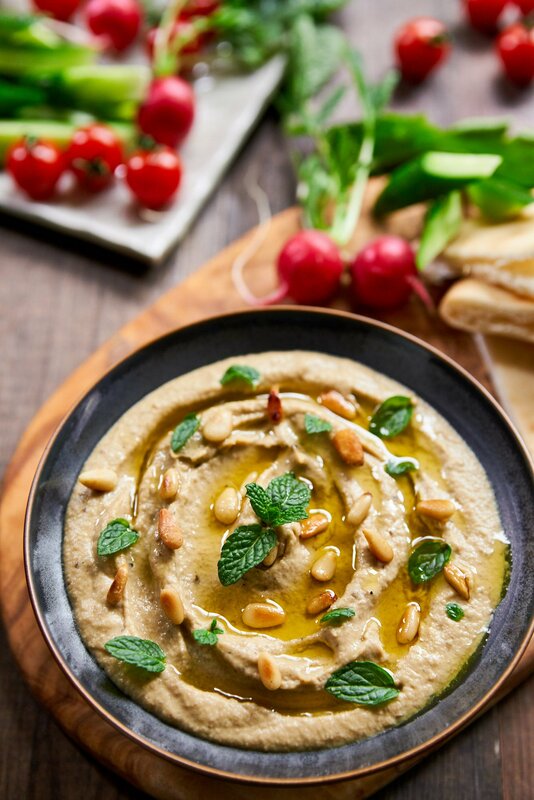 Despite its deceptively plain beige appearance, and the samll number of ingredients, Mutabbal has a depth and balanced complexity that makes it one of the most popular mezes, along with tabbouleh and hummus. 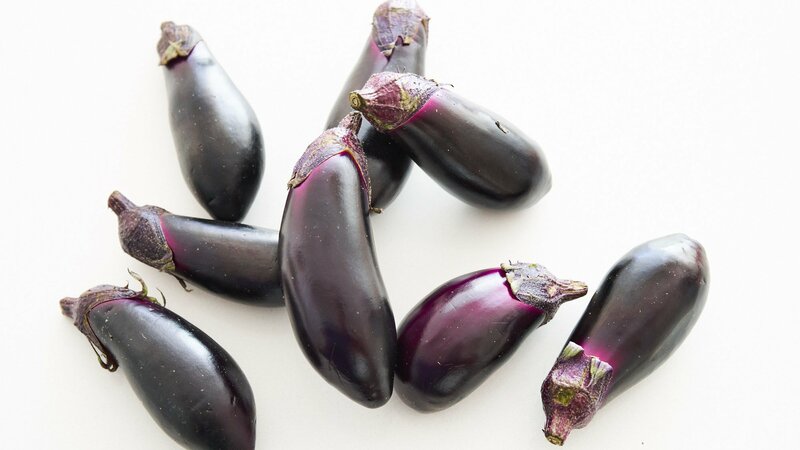 The secret to its sublime flavor lies in the preparation of the eggplant. 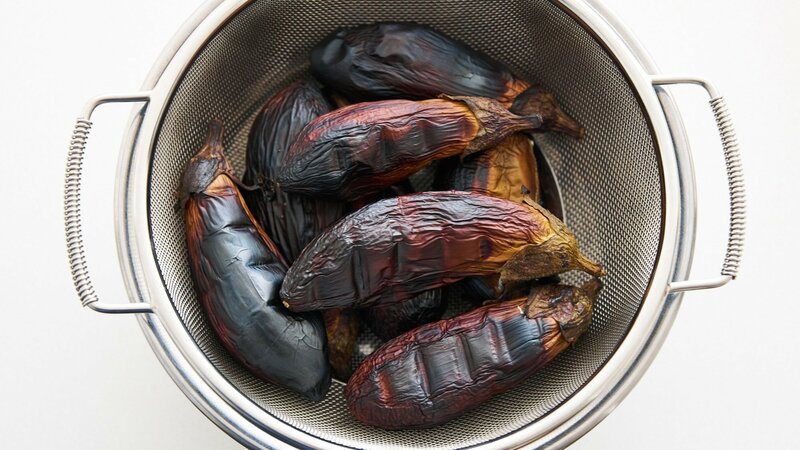 By roasting the eggplant over an open flame, the heat transforms the pale green flesh of the eggplant a golden bronze thanks to the Maillard Reaction. 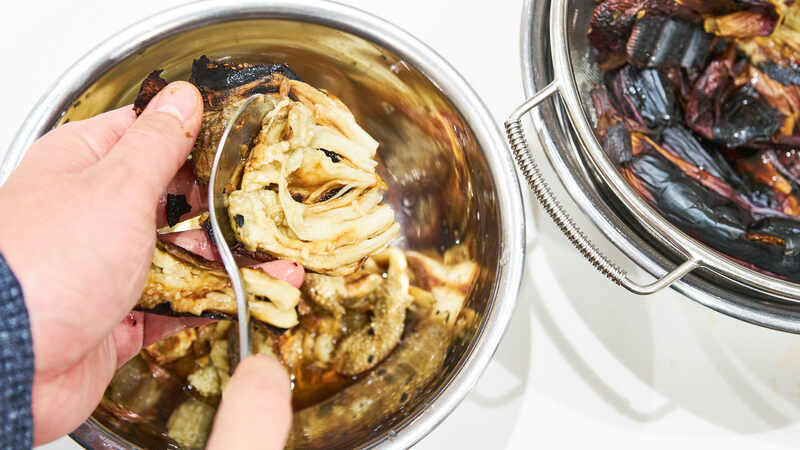 The moment you break through the charred skin, your nose will be greeted by the delicious sweet, smoky aroma of the caramelized eggplant, and a little nibble will confirm this as the taste of umami blooms across your tongue. We don’t all have the luxury of being able to cook over an open flame, so I’ve developed a method using a broiler that works pretty well. The key is to get the eggplant as close to the heating element (whether it’s gas or electric) as possible, and turning it as the skin chars. Once the eggplant is done, just peel it and strain it for a bit to get rid of the excess liquid. Then you just need to toss it in a food processor, along with the other ingredients to finish the Mutabbal. If you want a chunkier texture, you can also hand-chop and stir the eggplant together with the other ingredients. I’ve used Japanese eggplants because they tend to have smaller seeds than the larger Globe variety. Their narrower diameter also gives more surface area to get charred and smoky. Other small varieties of eggplant such as Italian and Indian will work for this as well. Cut a slit in each eggplant to keep them from exploding while cooking. Move your oven rack to the top position and set to broil. Put the eggplants on a sheet pan and place in the broiler. Broil until the eggplant is thoroughly charred on one side and then flip and char the other side (this will take about 20 minutes). 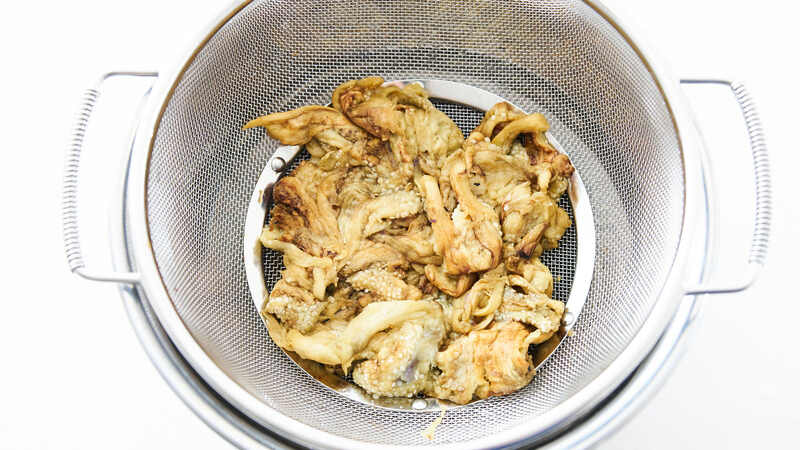 Transfer the eggplants a wire strainer and let them cool enough to handle. When the eggplants are cool enough to handle, remove the tops of the eggplant and peel the charred skin from the eggplant as best, you can. Using a spoon to scape out the interior can be helpful. Strain the excess liquid off of the eggplant. Add the eggplant to the bowl of a food processor, along with the tahina, lemon juice, garlic, salt and olive oil. Process until smooth and creamy. You can also hand chop the eggplant and whisk everything together in a bowl. Serve the mutabbal drizzled with olive oil and garnished with toasted pine nuts and mint.